The Environmental Protection Agency’s lead ethics official this week walked back his defense of administrator Scott Pruitt’s controversial condo rental. The official, Kevin Minoli, said last week that Pruitt’s rental of a room co-owned by the wife of an energy lobbyist didn’t violate federal gift rules and that the $50-a-night rate was within “reasonable market value.” But in a new memo first obtained by CNN, Minoli claimed that he hadn’t had all the facts before issuing his defense. In the Apr. 4 memo, he clarified that last week’s comments were based only on the provisions of the lease, but did not cover ways Pruitt may have used the condo that fell outside of the terms of the deal. Minoli did not say that there were any ethical violations and once again claimed that the terms of the lease were reasonable. 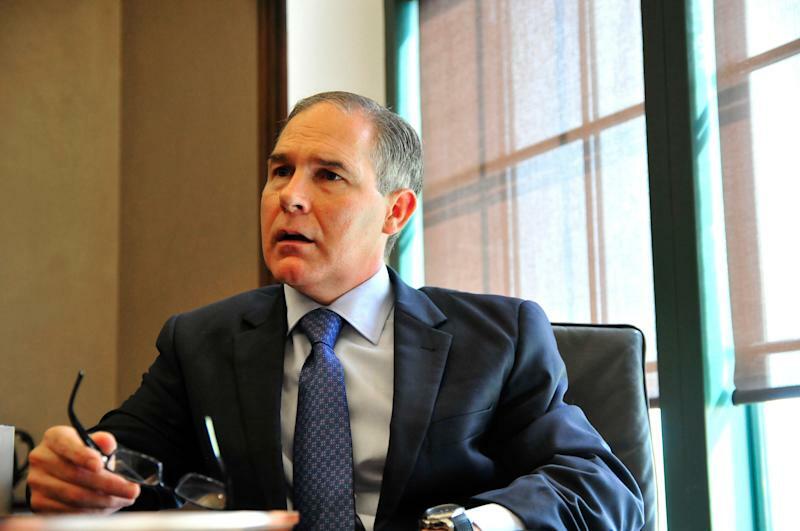 Pruitt is nevertheless facing intense scrutiny over the rental,a sweetheart dealthat let him use the room whenever he liked and only pay for it on the nights that he slept there. The condo is co-owned by Vicki Hart, whose husband runs Williams & Jensen, a well-known energy lobbying firm. While Minoli’s original assessment said the deal was above-board, some EPA officials reportedly said Pruitt’s daughterstayed in the unit’s second bedroomwhile working at the White House last year, according to The Washington Post. The lease would not have covered that arrangement, a detail that Minoli said he had not considered. “The review addressed the terms of the lease as they were written in the lease agreement only,” the April 4 memo reads. Hart has said she did not know that Pruitt’s daughter was staying in the condo, and told ABC News last week that she “never gave him permission” to use the other bedroom. Walter Schaub, the former head of the Office of Government Ethics, noted that if Pruitt’s daughter was using the other room and Hart knew about it, the $50 rate could be well below market value and possibly qualify as a gift. The Post notes that the EPA’s ethics office only learned about Pruitt’s use of the room last week and Minoli’s approval came months after Pruitt stopped using it. Pruitt has also drawn criticism over reports that theEPA approved a pipeline expansion projectfor a company that employed Williams & Jensen as lobbyists at the same time he rented the room. Both the EPA and the firm have denied that Pruitt was lobbied on the deal. The EPA's top ethics official clarified his defense of agency chief Scott Pruitt on Wednesday.